Texas is home to twenty-eight million people and one of the largest states in the nation. The landscape is full of deserts and forests with the Rio Grande carving out the border between Texas and Mexico. The largest city in Texas is Houston, home to the NASA Space Center, and the capital city of Austin is the home of the LBJ Library and a vibrant and eclectic music scene. As of 2017, the greatest substance abuse threat in Texas was methamphetamine, according to many Drug Enforcement Administration (DEA) offices located in the state. This threat comes directly from Mexican drug cartels, bringing massive amounts of the drug across the border and into Texas. According to a 2016 Substance Abuse Trends Report, there were 715 meth-related deaths in the state compared to 539 heroin-related deaths. The report also identifies liquid meth growing in prevalence, as it is easier to transport across the border. Texas sees a lack of impact from the opioid crisis affecting the northeastern states because the heroin trafficked into Texas is black tar rather than white powder, precluding the ability for fentanyl to be mixed in. However, fentanyl powder has begun to appear in Texas as of 2016, and events continue to be reported as time passes. Texas has also seen an increase in prescription opioid overdose deaths in recent years, citing tramadol mixed with other opiates or benzodiazepines accounting for 40 percent and 34 percent, respectively. The addiction treatment admissions in Texas were mostly for marijuana as the primary substance of abuse during 2017. That year's Treatment Episode Data Set (TEDS) indicates that marijuana made up 24 percent of primary substances in treatment admissions, followed by amphetamines at 19.5 percent, then heroin at 16.2 percent. 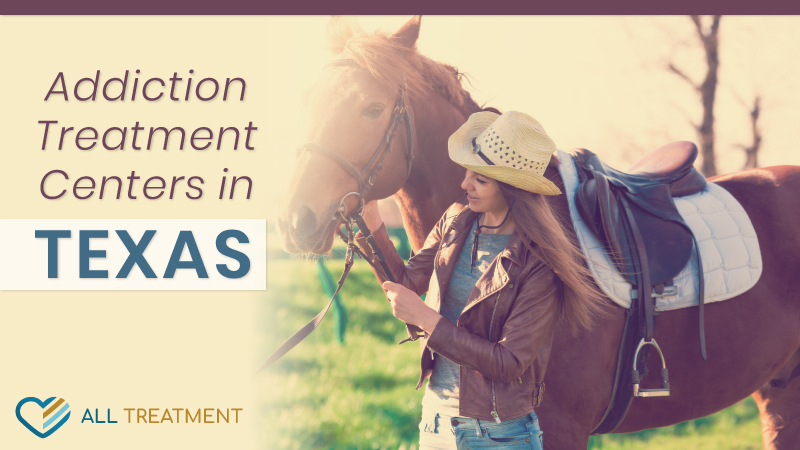 Texas is home to hundreds of addiction treatment facilities, hospitals, and services.